UPDATE: The water-rights case the Flyer told you about yesterday (the one that was supposed to start today) has been delayed until May. One of the expert witnesses expected to testify in the case is out on a medical condition. The parties agreed to delay the hearing until May 20th and wrap up the proceedings on May 24th. ORIGINAL POST: Mississippi and Tennessee take the nearly 14-year-old water-rights lawsuit to Nashville Tuesday for what could be a final hearing before the case goes before the U.S. Supreme Court. The case is (obviously) complex and the first of its kind. For a deeper dive into the case, we’ll point you to this blog post by Catherine Janasie, writing for the University of Mississippi’s National Sea Grant Law Center. But here's what you should know before the case gets underway Tuesday. Role of the Special Master: holds hearings, hears evidence, makes a report, suggests an opinion to the U.S. Supreme Court. The Memphis Sand aquifer is part of the larger Sparta Aquifer, which straddles the Tennessee/Mississippi border. 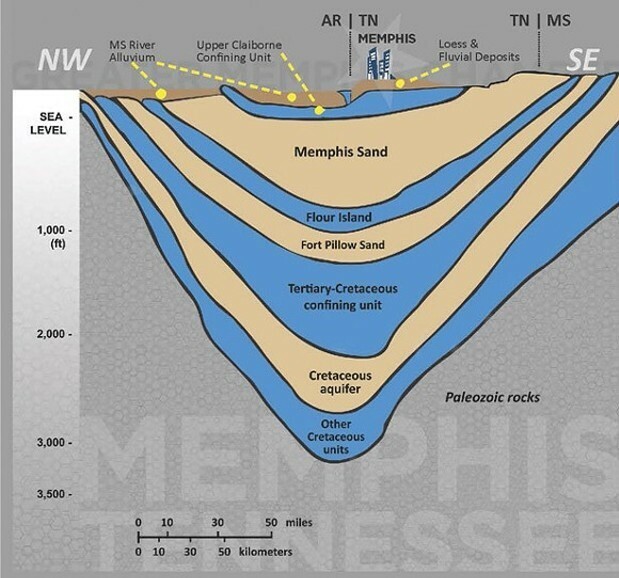 Mississippi officials claim billions of gallons of their water have been pumped into Tennessee at Memphis. Tennessee’s argument: Water in the aquifer should be shared between states. Mississippi’s argument: That water belonged to us. Tennessee: a water-sharing agreement between the two states. So, what could happen during this week’s hearings? 1. The case could be heard and the ultimate decision would be for the U.S. Supreme Court. 2. Siler could dismiss the case. Can’t say. However, Siler allowed the case to go on after Tennessee officials asked for it to be dismissed in 2016. But in the decision he said "dismissal would likely be warranted” because federal law calls for the aquifer to be shared. Also, he wrote that Mississippi’s argument fails to plausibly show that the Sparta Sand aquifer is not an interstate resource.